Precision Ink Corporation was founded in 2009 with the vision of becoming the premier producer of printing inks and coatings. Our strategic location and close proximity to Chicago’s major transportation hubs allows us to efficiently service customers nationwide. 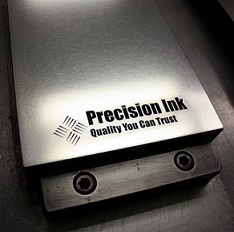 Precision Ink also owns its own trucks, allowing us to provide immediate service to customers in the Upper Midwest. Our newly engineered full service manufacturing facility is dedicated to producing high performance inks and coatings. This facility utilizes proprietary formulations and modern equipment to supply our customers with an unparalleled combination of superior products, service, and support. Investment in product development, equipment, and staff is a major part of our strategy for success. Fully equipped labs staffed with skilled formulators give Precision Ink a competitive edge by ensuring that our products consistently exceed our customer’s expectations. At the core of our business strategy is the knowledge that superior service is vital to our success. Our staff is committed to providing best in class service on every order we receive. Our employees are our most valuable asset and their “can do” approach allows us to provide service that is second to none.